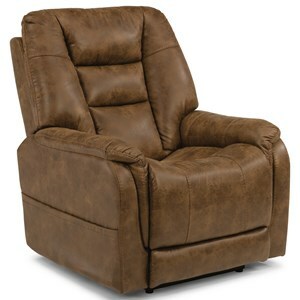 Sit back in the luxurious comfort and deep seating of this leather wall recliner. 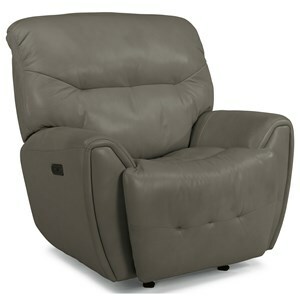 The double pillow back and layered pillow arm gives this chair durability and a sink in feel. 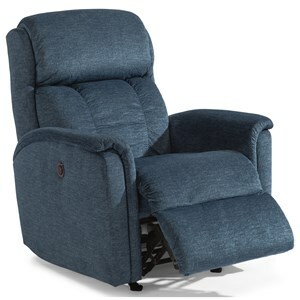 This recliner is equipped with a power reclining mechanism, allowing you to kick back and relax with just the touch of a button. 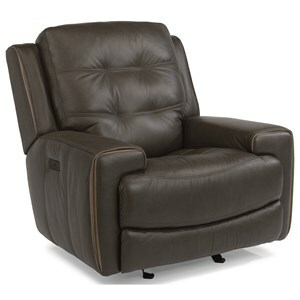 The Latitudes - Dylan Leather Wall Power Recliner by Flexsteel at Fashion Furniture in the Fresno, Madera area. Product availability may vary. Contact us for the most current availability on this product. 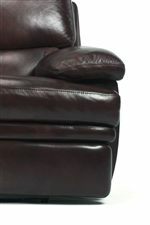 Arm Pillow padded track arms provide soft and contemporary arm rests. Sink into luxurious seating with the this living room collection. Featuring both motion and stationary furniture, this group offers a variety of options for furnishing your living room, family area, or entertainment center. 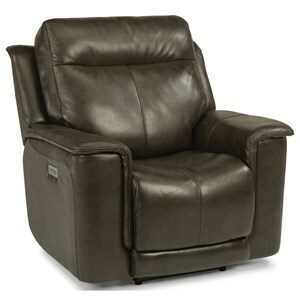 Its clean look exudes a casual-contemporary style fit for a wide-range of home decor, while its generous padding and plush upholstery options create consistent and durable seats throughout the life of the product. Make yourself at home with the sleek style and exceptional comfort of the Latitudes - Dylan collection. 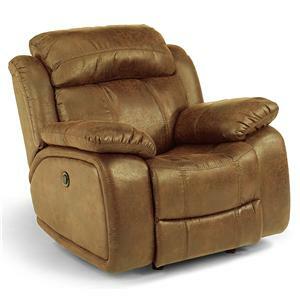 Available in a select group of luxurious leathers. Nailhead trim detail also available. 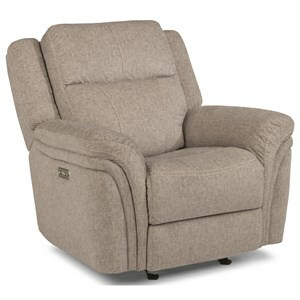 The Latitudes - Dylan collection is a great option if you are looking for Casual furniture in the Fresno, Madera area. 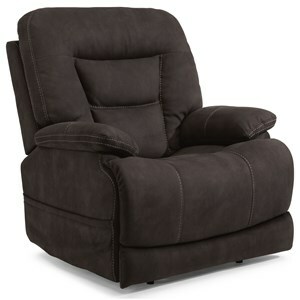 Browse other items in the Latitudes - Dylan collection from Fashion Furniture in the Fresno, Madera area.